The viticulture in Puglia started thousands of years ago. This tradition continues through the presence of native varieties such as Negroamaro, Aglianico and Primitivo, both true expressions of a strong and extra-ordinary territory. The production of high quality wines is related to recent steps towards innovation and creativity: substantial changes have been obtained through the use of modern viticulture techniques and the introduction of non-native grape varieties (i.e. Chardonnay and Cabernet) that express themselves in this "terroir" in a completely unique way. 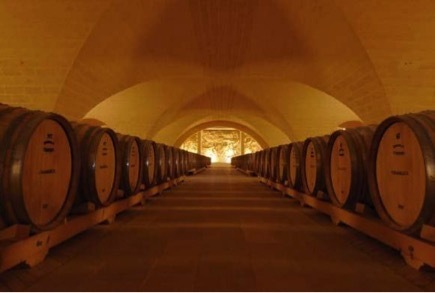 The Antinori family gave birth to Tormaresca in 1998 when they started investing in Puglia, considering it one of the most promising regions in Italy for the production of high quality wines with a strong territorial identity. The grapes are picked at the right state of ripeness and vinified separately in thermo-conditioned stainless steel tanks. The maceration, carried out at a temperature not higher than 26°C, lasts 8-10 days. The malolactic fermentation is completed by the beginning of winter. Afterwards, there is a further fining period in steel tanks (about 8 months) and on the bottle (at least 4 months).